Neuroscience is the branch of the biological science in which the study on the nervous system is done. 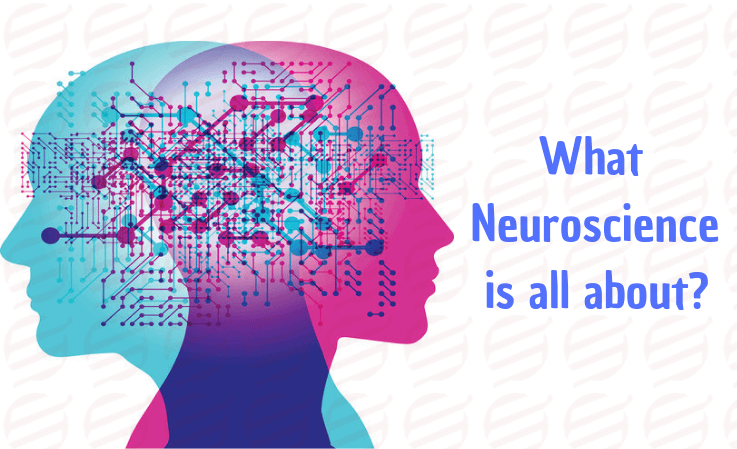 It is the combination of the anatomy, physiology, developmental biology, psychology, mathematical modeling so that the fundamental properties of the neurons can understand. Eric Kandel was the one who described the “ultimate challenge” of the biological science, as the understanding of the behavior, memory, consciousness, perception, and learning. In the recent times, as the technology has evolved a lot, the scope of the neuroscience has increased. Now, there exist different methods by which the nervous system can be studied. New techniques have been evolved by the neuroscientists, which is related to the cellular and molecular studies of single neurons so that the sensory and motor tasks can be learned through images. There has been noticed a significant increase in the scientific study of the nervous system in the latter half of the previous century. It was all possible because of the advances in various fields of neuroscience, such as electrophysiology, molecular biology, and computational neuroscience. Due to that, the neuroscientists are now able to study all the features of nervous systems. Now they know about its structure, it’s working, its development, reasons of its malfunctioning, and ways by which it can be altered. The nervous system can be studied at a differBiologyent level. It can be range from the cellular level to the molecular level, and from the cognitive level to the system. In the molecular level, the study of the mechanism by which the neurons inside the brains do express changes or response to the signals in molecules is done. In order to understand the development of the neurons and how the alteration in the genetics have an impact over the biological functions, various tools from the genetics and molecular biology are used at this level. Let’s talk about different categories of neuroscience! While in the cellular neuroscience, the study of the mechanism of how the processing of signals in neurons happens both, electrochemically and physiologically. The study of the signals processing by the neurites, which is the thin extensions from the cell body of neurons, that includes dendrites and axons. Further, in this category, the topics like the regionalization and patterning of the nervous system, the differentiation of the neurons, the development of axonal and dendritic, the formation of the synapse, and neuronal migration are studied. In the system level, the study of the formation of the neural network as well as neural circuits is done. Along with that, how these systems are using the anatomic and physiologic process to produce purposes like motor coordination, reflexes, emotional responses, memory, circadian rhythms, and learning. For an instance, in the analysis of the system level, the more specific studies of sensors and motor models are done, such as, how one can hear different sounds? How do bats fly by using ultrasound? And many more. And finally, in the cognitive level, the study how neural circuitry is responsible for the psychological functions. Due to the evolution of new machines and techniques, like, neuroimaging, electrophysiology, etc. the analysis of the human genetics can be done. In the affective neuroscience, the study of the neural mechanism that is involved in the emotions is done, by considering the animal models. In the behavioral neuroscience, the study of physiology, genetics, and behavior of living beings is done. In clinical neuroscience, the study of the disorder and diseases in the nervous systems is done. the theoretical study of the nervous system is done in the computational neuroscience. In the paleo-neurobiology, the study of the evolution of the brain is done (the human brain). And why we for your neuroscience assignments? Now the questions arise is, why we, for the neuroscience-related assignments. And the answer to that question is that we have, in our team, trained professionals, who have completed their postgraduates and masters in this field. They are connected with this field from a very long time, and due to that, their knowledge base is quite vast in neuroscience. Experience the extra ordinary services of our experts in neuroscience! Hence, rather than stressing your neurons in your brain cells for doing the assignments related to the neuroscience, you can take assistance from our experts, whose neurons are very well trained for such tasks. 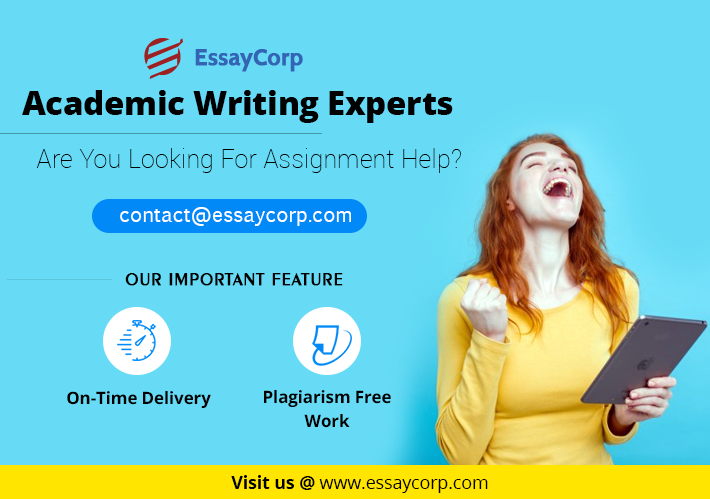 EssayCorp understand that the compromise in quality and plagiarism in content can results in malfunctioning of nervous systems of both, you and your professors. Due to that, we take great care of delivering quality and plagiarism free work.